Nothing freshens the air like the pleasant, clean citrus fragrance given off by the beautiful, waxy white blossoms of these unique tropical plants. Move to a bright light indoors for the winter. Flower FormSmall red-orange citrus. Thin, rough rind. Soil RequirementsWell drained, nutrient rich for best results. PruningNo pruning needed except for interfering branches in late winter. Winter CareIn hardiness zones 9 and 10, no special protection needed. For all zones north of 9, containers should be moved to a warm inside area until spring. Planting InstructionsIn containers, use a water retentive soil-less media that has good water holding capacity. 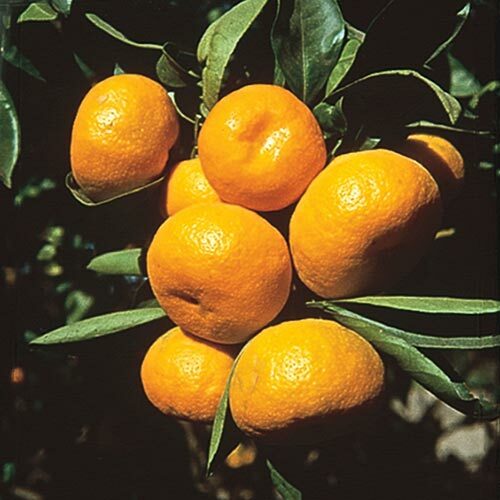 Vigorous grower that requires good fertilization practices and ample amounts of water to produce fruit year around. 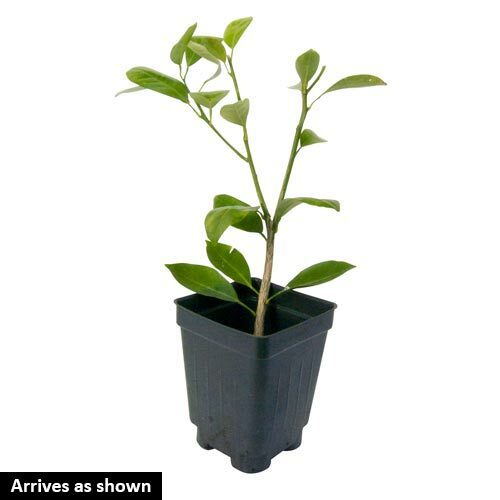 Plant as the same depth as in the pot it is shipped in.